When you have an opportunity to make a wish, does one pop into your head or do you have to think for a minute or two? A wish is a hope or desire and I have had my share, but I’m really careful what I wish since so many have come true. I take a little time to consider how it could change my life. My guess is that most people wish to be rich and famous or to return to good health. There couldn’t possibly be anything wrong with good health, but money and fame have been known to cause some problems. I always wished that someday I would have a fruit producing garden. I imagined picking an apple and eating it right off the branch. 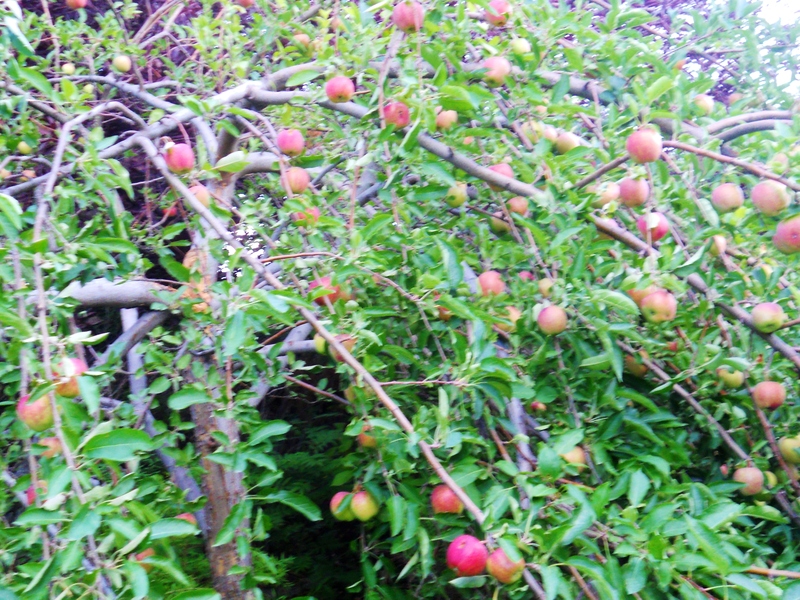 Well now I have one and there are so many apples, the tree split in half. I am up to my elbows in pies and applesauce. I am giving them away by the bagful. The raspberries came in buckets, but I got so many bee stings, I am now allergic! The trunk split under the weight. 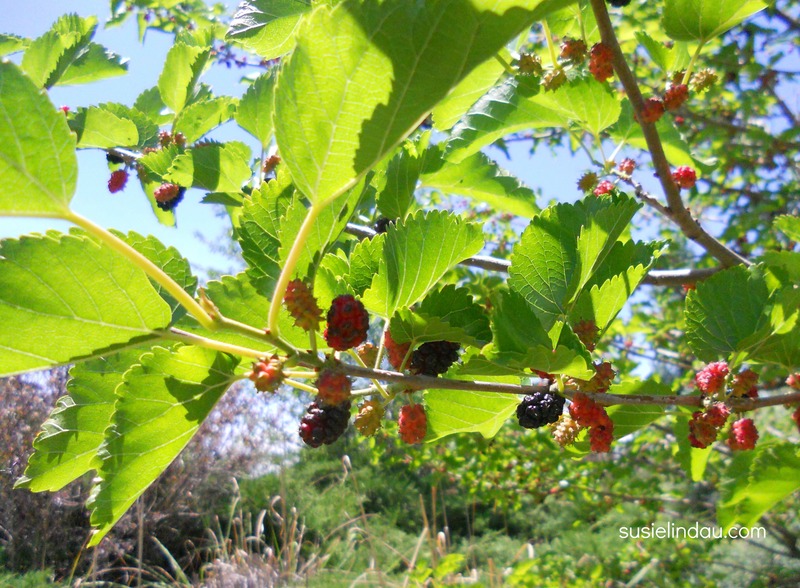 Even my mulberry bush produced like crazy! My sister Patty and I used to snap the Thanksgiving turkey wishbone apart. The one who ended up with the longer part of the bone got their wish. She won almost every time. I wonder if her wishes came true. She probably wished for her own bedroom and was glad when I finally moved out. 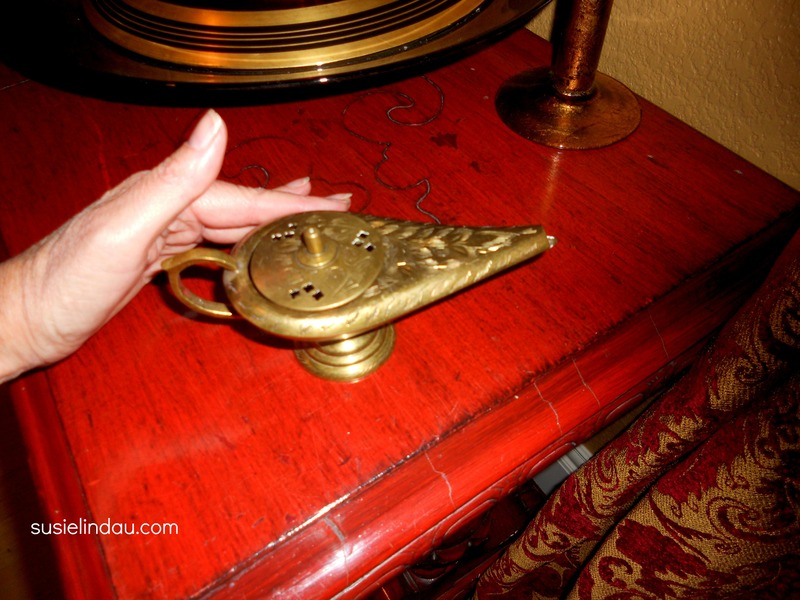 I was introduced to Aladdin’s Lamp through Popeye and Donald Duck cartoons. Whoa! I really wanted to find one of those magic lanterns. Many years later, I bought one at a garage sale. I bet I rubbed it just in case. If a genie had materialized, it would have taken me a long time to come up with three wishes. Our family used to go out for pizza at Lombardino’s, an Italian restaurant in Madison, Wisconsin. I remember its beautiful miniature replica of Rome’s Trevi Fountain. The highlight of the night (other than the spumoni ice cream), was when Dad would give my sister and me a penny to throw into the pool. Back then, I wished for a dog. 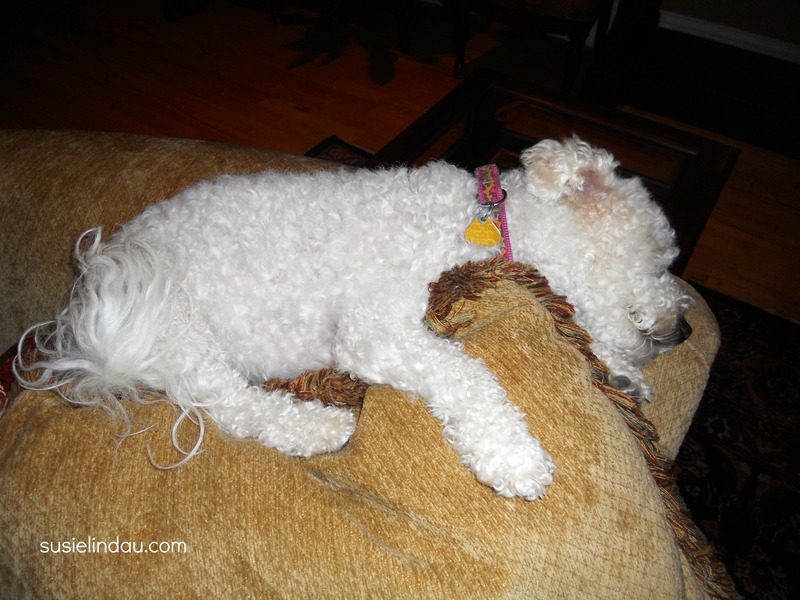 My dog Roxy is passed out on the couch dreaming about the pool she splashed in and all the doggy friends she made at the kennel last week while we visited family in Wisconsin. I bet she wishes our trip was longer. I wished for a pony before blowing out the candles on more than one birthday cake. By the time my parents actually considered the idea, I decided it would take up too much time in high school. They say you always get what you wish for, but the timing can be a bit off. Shooting stars were another opportunity for wishes. I was amazed when my dad first pointed them out in the summer sky while camping. 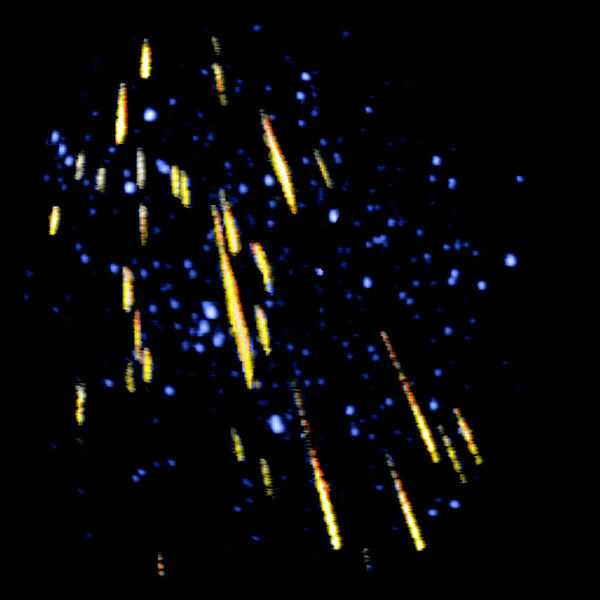 Many years later, I was overwhelmed during a meteor shower. I couldn’t wish fast enough! One night, while driving to Boulder to pick up my daughter from dance class, a huge flaming meteor hurled across the sky and looked as if it crashed right outside of town in Louisville. Actually, the meteor landed hundreds of miles away. It was so alarming, I forgot to make a wish! We are really wishing on shooting meteors. While vacationing in Wisconsin last week, Danny’s brother Jamie and sister-in-law Karen invited my family and parents to their house in Madison for dinner. At the end of the night, Jamie called us outside. 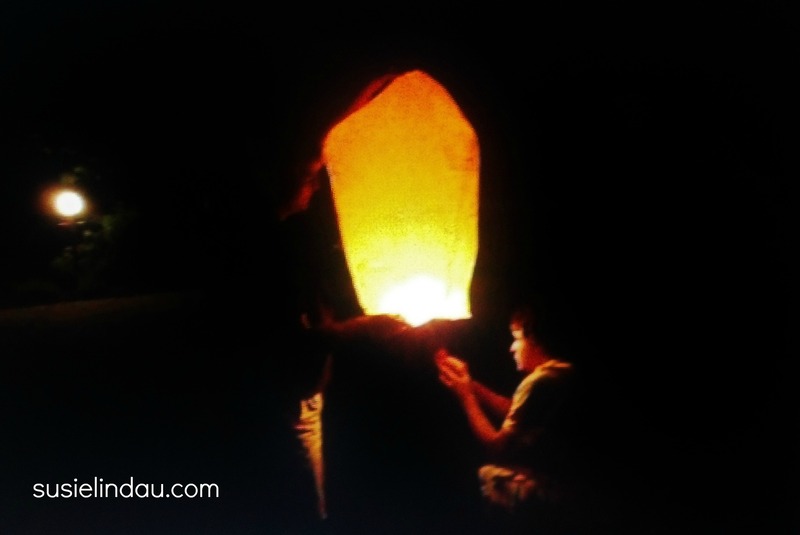 With my son Kelly’s help, they launched a sky lantern! We were supposed to make a wish as he lit the paper wick and it began to rise. I panicked. All kinds of wishes rushed into my head. I didn’t want to waste a wish on something frivolous or one that only made only one person happy. As it floated into the air, I wished we would all have a safe and healthy year and would meet again next year to launch another! Check out the commentary. Can you guess which voice is mine? Do you still make wishes? Do you keep them a secret? Like what you see? Subscribe to the Wild Ride! Click HERE to check out my latest adventure. Work hard and keep your eye on the prize! Sometimes it’s okay to ask someone older to help. Prayers and wishes can be very important,but I hope your friend can confide in a parent or a teacher. I will say a prayer for her. How do you make the wish? Say a prayer or put out positive energy and BELIEVE it will happen! It may take a while. Life doesn’t respond immediately to our commands…Good Luck! Keep on wishing and your dreams may come true! I wish I was skinny, curvy and thin and had no acne by tomorrow morning. Work hard and keep on wishing! I wish to lose 20 lbs. by the next day. I wish I could succeed in life and prove everyone who ever doubted me wrong. Do it for yourself and nothing will be able to stop you! I wish I have Shakira’s entire body and her looks . I wish my crush accepted my message today on Facebook and ask me to be his girlfriend . I wish I could be with Lauren Schwab for 3 years with no one judging our relationship.